A multifaceted force in Nutrition and Integrative Medicine, the American Health Council is proud to appoint Dr. Christine Fall, author of “Nutritional Harmony“, owner of L&D Integrative Medicine Consulting, LLC., Associate Professor of Primary Care for OU- HCOM, and Medical Provider at Premise Health, as one of Americas “Best in Medicine” . 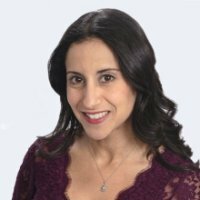 With 16 years in the healthcare industry, Dr. Fall brings to the AHC honed expertise in Nutrition, Wellness, Public Speaking, Education, Integrative Medicine, and Internal Medicine. Dr. Fall is Board Certified in both Internal Medicine and Integrative Holistic Medicine. She earned her MD from Case Western Reserve University School of Medicine in 1998, and completed her Internal Medicine residency at University Hospitals of Cleveland in 2001. When she first began practicing Medicine, Dr. Fall was concerned with the number of young people suffering from chronic disease and mood disorders, prompting her to begin studying ways to prevent these diseases and help patients restore their health. Through her studies and subsequent Board Certification in Integrative Medicine, Dr. Fall began educating her patients and the public about the use of food as medicine, practicing with a holistic approach, and addressing all aspects of the patient’s mind, body, and spirit. Three years ago, Dr. Fall began her own consulting company, L&D Integrative Medicine Consulting, LLC., which provides educational seminars to the public. She has worked as a Primary Care provider and Integrative Medicine Consultant at Premise Health for the past three years and at Ohio University’s Heritage College of Osteopathic Medicine (OU-HCOM) for the past two years. As an Associate Professor of Primary Care at OU-HCOM, Dr. Fall teaches first and second year medical students and also serves as the Instructor of Record for the Gastrointestinal Course. In 2017, Dr. Fall was honored by her students at OU-HCOM with the award for Outstanding Case Based Learning Facilitator and in both 2016 and 2017 Outstanding Clinical Faculty. Dr. Fall is the author of “Nutritional Harmony” a publication created to help explain how food impacts chronic disease and cancer. It provides the reader with practical techniques for food selection and preparation to maximize the health benefits of food. She hopes that the information in “Nutritional Harmony” will help her readers optimize their physical and emotional health. Dr. Fall is also working on a new cookbook featuring anti-inflammatory and mood-balancing recipes. In her spare time, Dr. Fall loves spending time with family, cooking, and enjoying the outdoors. She volunteers to speak at community centers, women’s expo events, and at Eaton’s World Headquarters about wellness and disease prevention. She also provides Integrative Medicine educational sessions to medical students, medical residents, and physicians alike. Dr. Fall attributes her success to the support of her family, along with the privilege of being able to care for and learn from her patients. For the next five years, she would like to continue educating the public about disease prevention and wellness. She will continue to teach at OU-HCOM, as well as continue to practice Integrative Medicine. Dr. Fall will also be working on a new cookbook. Potential clientele and collaborators can reach Dr. Fall at drfall@integrativeconsults.com. In an age of rising disease and cancer, prevention can only be achieved by restoring harmony. The processing of food has destroyed the natural harmony that exists among the components of whole foods, removing the very nutrients necessary for disease prevention. Through Nutritional Harmony we begin to understand how the health of the gut and our pro-inflammatory diet promote heart disease, mood disorders, neurodegenerative diseases and cancer. We then learn how to use “food as medicine” with simple techniques for food selection and preparation. With an evidence based, scientific approach we see how these techniques have proven life saving benefits. Nutritional Harmony empowers us with the knowledge we need to reestablish harmony, restore our health, and ultimately prevent chronic disease and cancer. President of L&D Integrative Medicine Consulting, LLC. L&D Integrative Medicine Consulting, LLC. is dedicated to educating our clients about disease prevention and wellness. Through our educational seminars, we strive to empower our clients with the knowledge and tools necessary to achieve optimal health. Dr. Fall’s book “Nutritional Harmony” demonstrates how food can be used to help prevent chronic disease and cancer. 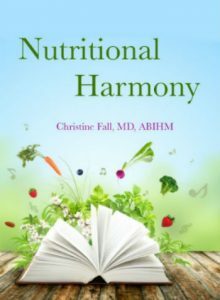 “Nutritional Harmony” provides the reader with practical techniques for food selection and preparation in order to maximize the health benefits of food. “Nutritional Harmony” contains truly invaluable information for all who seek to optimize their physical and emotional health. We believe healthcare should be about helping people get, stay and be well. That’s our mission. It’s the foundation of everything we do, and it has been for more than 40 years. We help some of the world’s best companies keep their people at their best, with onsite health programs that align with client needs, goals and benefit strategies. We give organizations new ways to manage ever-rising healthcare costs and stay ahead of the competition.